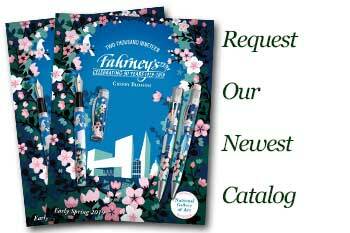 Order your Marlen Peace Fountain Pen today from FahrneysPens.com. Fine Pens, Refills & Luxurious Gifts – great prices & fast shipping. 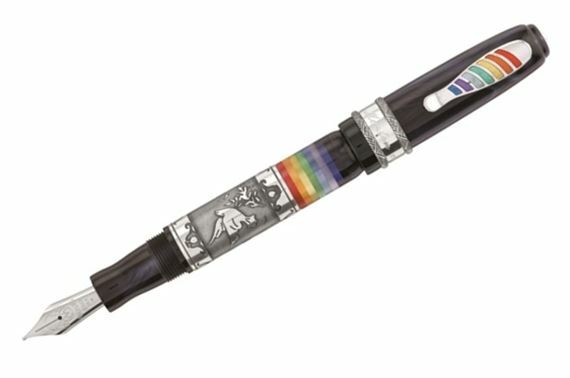 A peace dove, featuring an olive branch in the beak and the colors of the rainbow are widely recognized as symbols of peace: Marlen has represented these symbols in this wonderful numbered edition Marlen Peace Fountain Pen. Cap and body in black resin, with small colored pearly resin rings, stacked to form the Rainbow of Peace. The same colors are enamelled also in the clip. The central silver band of the body is engraved with a peace of dove and an olive branch. “There is no way to the peace; peace is the way”. The Peace pen has a stainless steel nib and fills from a bottle only.